CREATE A QUICK CHART WITH THE TENSES AND CARRY IT WITH YOU. Everybody dreads grammar, but it doesn’t need to be that difficult or boring. Create a chart summarizing the main tenses in Spanish and carry it with you, or download the cheat sheet I created for you. Every time you need to say something, just look at your chart. The conjugations will gradually stick in your mind. And with time, you’ll start recognizing the tenses in each sentence that you read and understand how the tenses interact in Spanish. READ A BOOK IN SPANISH HIGHLIGHTING ALL THE TENSES YOU RECOGNIZE. Remember that chart with the summary of the tenses in Spanish? Keep it with you while you are reading your book in Spanish, and use it to identify the tenses of the sentences. Highlight the tenses that are giving you trouble and see how they interact in the stories. Is it going to take long to read a book? yes! but, who cares? it is not a race, just enjoy the process. I don’t mean blogs for learning Spanish. 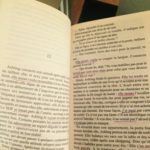 Besides reading from books, read from a blog in Spanish of your favorite subject (viajes, deportes, historia, farándula, moda, música) The vocabulary used in blogs is more casual and you’ll learn how to talk about the things that you like. Follow on FB the blogs of your choice, that way you will see updates in Spanish every time you check Facebook. Nowadays we spend most of our time looking at a screen, your phone, your computer, your tablet, your TV etc. Use this time wisely and switch all the menus in your devices to Spanish. 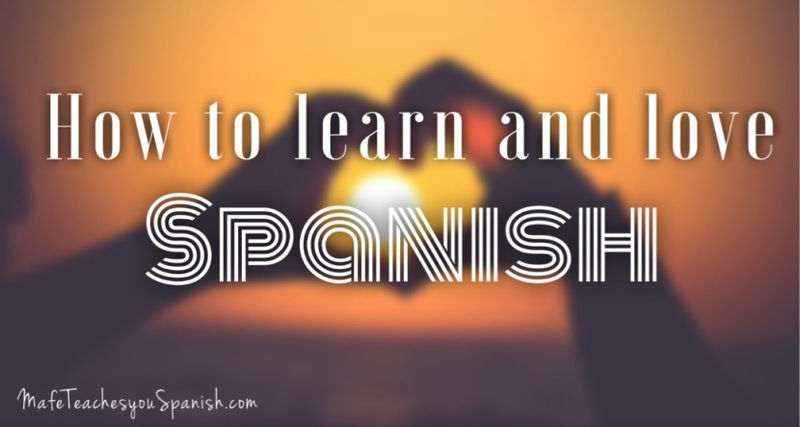 It would be very hard at the beginning, but you’ll get used to it and you get to use Spanish without even thinking about it. Also switch your mailbox, your Facebook, your Twitter, and all the things that can be switched, into Spanish. Besides switching the language of Facebook into Spanish, start following pages in Spanish, so every time you scroll down your feeds, you’ll find Spanish news. Follow Newspapers, Fan Pages of TV shows in Spanish, whatever is your favorite subject to read about, find Facebook Fan Pages in Spanish and follow them. 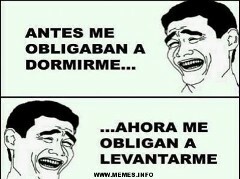 You will feel very happy when you understand the memes in Spanish. WaitChatter is a Chrome extension for GChat. It basically teaches you new words while you are chatting with your friends. You know, when you are waiting for them to respond? That’s the time you will use to learn a new word. WaitChatter teaches basic vocabulary in Spanish and assumes your native language is English. Every time you learn a new word, think about how you are going to use it in YOUR conversations. Imagine yourself using it while talking to people about your day, about your family etc and create your own sentences that relate directly to your life. Mi mamá va al mercado todos los lunes – My mom goes to the market every Monday. Me gusta comprar frutas en el mercado – I like to buy fruits in the market. It doesn’t matter how much you have studied, how much you understand, how much you read in Spanish. If you don’t put it into practice by talking to people, all your hard work will be wasted. I know it’s scary, I know you may feel nervous, I know you are afraid of making mistakes. It is all normal. Still, you have to do it. If you find a partner for a language exchange, then you both will be in the same situation and it would be easier for you to take the step. There are many tools to find language exchange partners, both online and offline. 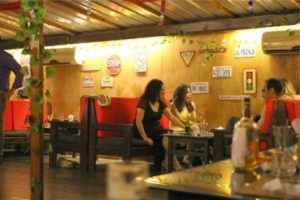 Couchsurfing: Besides offering places to stay with the locals while you are traveling, CS also holds many Language Exchange Meetings, in every city. Find the one in your city and meet someone who speaks your target language and wants to learn your language. Meet up: They also hold Language Exchange Meetings in every city. Chatterplot: This is a site to find Language Exhange Partners around you. You need to enter your location, your target language, and your native language. Then the site shows you who matches with your location and your languages. You can request an exchange with these people and meet up close to your home. Italki: This is a very popular site to have Language Exchanges over Skype with people from all over the world. Follow closely for updates. Don’t miss out!